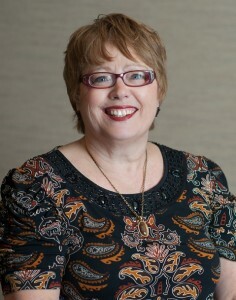 Long-time member, Judy Heffernan, former General Manger at the Peterborough CFDC, was a WBN advocate and a huge supporter of her friends and the community at large. Judy’s bubbly personality was always a welcoming beacon at the monthly membership meetings where she would greet arrivals, from her chair in the bar, with a toast from her cherished glass of red wine. Judy sincerely wanted to know how you were doing and would invite you to sit and share some female-bonding time prior to dinner. Judy was a business leader, friend, confidant and mentor, to name only a few qualities. Judy’s fast and unexpected passing from a brain tumour in July, 2013 left shock waves through the Peterborough community. In response, two awards to honour her work and volunteerism have been created. The Examiner created the Judy Heffernan Award to recognize a woman from the community who exemplifies the virtues she embodied. 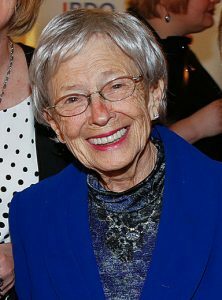 Additionally, the Peterborough YWCA has created the Judy Heffernan Girls Space Fund to honour her long-time service to women, young and not-so-young, get back on their feet and on their successful way in the world. Judy’s heart of gold and will of steel have created a wonderful legacy for generations of women to come. Small in stature but big of heart, Erica more than made up for her size with her quiet wisdom, zest for life and leadership. She was integral in supporting women’s rights and capabilities, and a tremendous supporter of the WBN bringing women in business to the forefront. At member meetings, she handed out bright pink cards with the message “Never underestimate the power of a pissed off woman” on it, exemplifying her attitude towards life. She stood as a trailblazer and shall forever remain a shining example of breaking down barriers and effecting positive change for women in our community. On behalf of the WBN, we want to extend our deepest sympathies to Erica’s families, friends and business colleagues for their profound loss. Judith accomplished more personally, socially, and professionally in her foreshortened life than most will ever do. Judith was deeply involved in the Peterborough community where she lived for over 30 years. 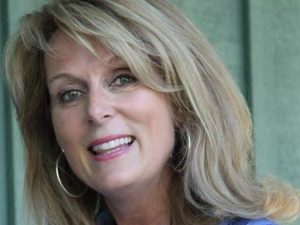 Judith was a vibrant health care professional who enjoyed giving back to the community, volunteering with numerous local charitable organizations. The WBN benefited from Judith’s business acumen and shared in her success as she created Cornerstone Family Dentistry from humble beginnings to the respected business it is today. Judith “joie de vivre” will be sadly missed by all WBN members, past and present.